Recently, I came across an ad where a film celebrity was promoting green tea to reduce belly fat. I wondered “Is it that simple?” - Drink 2-3 cups of green tea everyday and the belly fat just melts away! Wish it could be true. But the reality is exactly the opposite. It is a huge challenge to reduce belly fat. It can take a minimum of a year to 3 years to see a substantial reduction. Let me say that upfront before proceeding further. When we were born, we had flat tummies. Even during our childhood days, we had washboard abs. Sadly I can’t say the same about today’s kids though. Bad food habits, lack of exercise, sedentary lifestyle and stress have caused the fat to get accumulated in our abdomen. This didn’t happen overnight. It took us at least 2-3 years before we realized that our jeans need an upgrade. 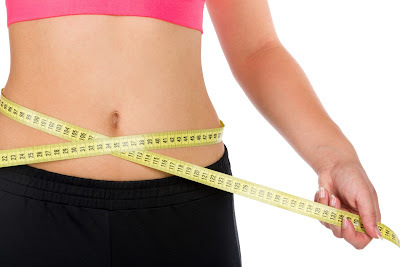 If you are genetically prone to accumulating fat around your waist or you have hormonal issues like PCOD, then the fat builds up faster and it is even more harder to get rid of it. For women post pregnancy, it is always a dream to fit into pre-pregnancy pants but only a few are able to get back to them. Having said that, let me share 7 steps by which you can reduce belly fat. I can vouch for them as they have helped me to reduce belly fat, even with a life condition like PCOD. Whether you eat rice, roti or salad for dinner, please make sure you eat atleast 2 hours before bed. Ever since I shifted my dinner time to around 7:30 - 8 PM, I can notice a positive change in my physical fitness. I know many of us would want to eat as a family and wait for our spouse to return from work. But the more you eat closer to your bedtime, the more undigested food remains in your stomach and the faster your belly fat increases. After dinner, if you plan to work or watch a movie, avoid munching snacks. The same principle of leaving undigested food in the stomach applies in this case. If you get the urge to munch something, sip water. I know it’s hard but worth a try. When I was a kid, my parents used to buy bread at home ONLY when someone is sick. But these days, store-bought bread has become a regular staple in our pantry and a mandatory purchase during our weekly grocery shopping. Sandwiches and toast are easy to make for breakfast/dinner but the store-bought bread is full of refined flour and raising agents. Even if the pack says whole-wheat or brown bread, it does have maida in it. Switch to millets, hand-polished rice or brown rice. Avoid/reduce fully polished white rice. Store-bought wheat flour (atta) is stripped off all the fibre and has added gluten. So if you love your chapathis, mix wheat flour with other gluten-free flours like ragi, bajra, jowar, amaranth or other millet flours. If you have a flour mill nearby, buy whole wheat grains and grind the flour. Walking even if it is brisk walking doesn’t have any impact on your belly fat. Jogging paired with proper stretching helps a little bit. Squats, as much as we hate them, does wonders to reducing belly fat. Consistent Yoga is beneficial too. I started seeing the impact on my belly fat after a year of practicing Yoga regularly. Consistent practice of “Core" strengthening asanas yield good results. There are no shortcuts, no quick solutions. Consistency in exercise and giving time to your body is the ONLY way to reduce belly fat. Exercising for 1 hour in the morning and then sitting down for the rest of the day negates the impact of exercise. Our bodies are designed for movement. Physical activity is essential throughout the day. Take stairs, do some household chores, keep yourself active. As our diets turn more Western, we are losing out on the goodness of our spices. Regular use of peppercorns, coriander seeds, cumin seeds, cinnamon, ginger, turmeric and fenugreek seeds help in boosting our metabolism, thereby burning the excess fat. Don't lose your roots, atleast when it comes to food. Fibre from natural sources like fruits and vegetables increase satiety, thereby reducing our hunger pangs in between meals. Ensure you eat raw and cooked vegetables as part of every meal. Also drink adequate quantity of water. The water requirement varies from person to person. So you are the better judge to decide whether you are hydrating yourself enough. Hope you found these steps helpful. Please do share your comments if there are any questions.